Whether exploring the great beyond or getting by in the ever-growing expansion of an urban jungle, you’d sure want to have a vehicle that’ll perform. And when we say “perform,’ we mean a car that’ll deliver the best in motoring performance and driver (and, of course, passenger) safety and comfort. 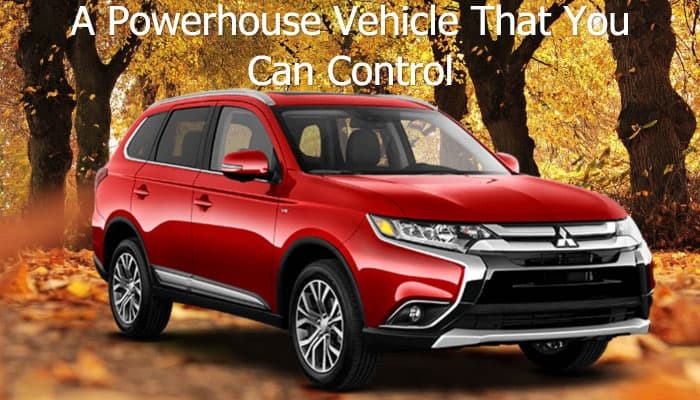 And this is why we are definitely more than happy to feature this wonderful engineering spectacle today – the Mitsubishi Outlander. 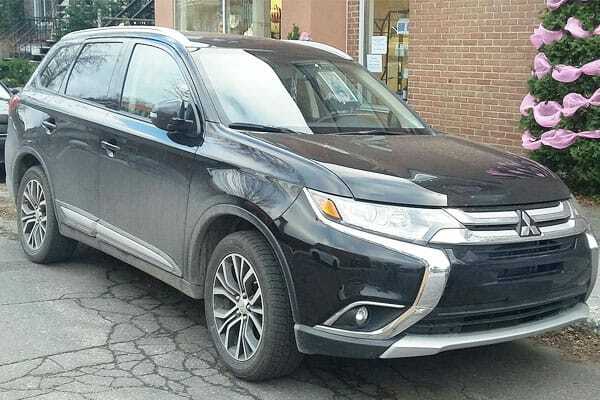 As a mid-size crossover SUV initially introduced last 2001 as the Mitsubishi Airtrek, the Outlander has constantly pushed the boundaries of what a powerful and exciting vehicle should be. 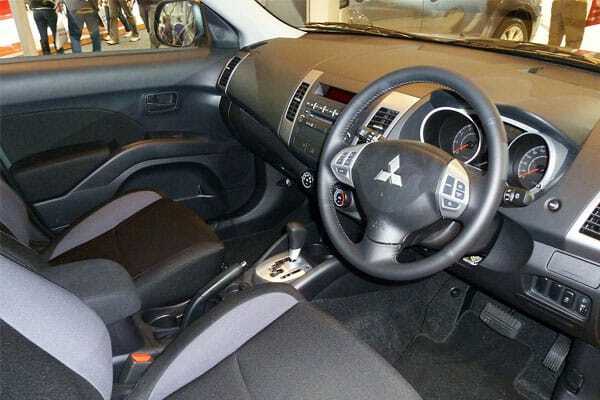 In line with the original concept of the Mitsubishi Outlander being as the Airtrek, the popular Japanese car company wanted this release to give drivers and their passengers adventurous or action-packed trips whenever they step their foot into the SUV. 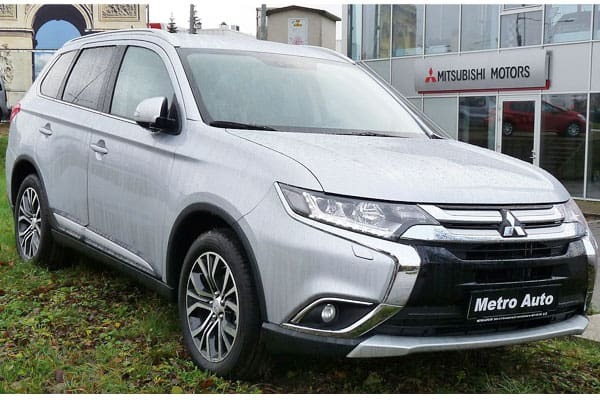 “Free-as-a-bird,” as Mitsubishi has wanted it to be – which can very well be seen in every model of the Outlander throughout the years! And it can also be noted that the change of name to the Outlander, which has its goal to evoke feelings of journeying into the great unknown, can also be seen as an apt and just decision. Pushing the boundaries and testing one’s limits (and as a result, overcoming any sort of challenge) is also seen in the Outlander, a vehicle that constantly defies conventions and innovates what each excursion (whether near or far) should be for a motorist! Of course, it is always easier to say how great or powerful a car is with its history – which is why we’d like to highlight some key features on what makes the Outlander a worthy contender of a vehicle that one should definitely experience to drive or ride in! Otherwise known as RCTA, this safety feature provides drivers an extra layer of confidence and awareness of detecting a vehicle while in reverse. Each split second counts, especially in this blind spot scenario, which the Outlander does not take any risks for a driver to be placed in danger! The FCM, on the other hand, gives drivers an extra set of eyes and ears by detecting possible road hazards and obstructions. Should the need arises, brakes are automatically applied to prevent or reduce collision or impact. The UMS is another layer of safety that places drivers and their passengers in a much better spot of preventing accidents on the road. Considering driver error (such as accidentally pressing the accelerator during a stationary position), this safety feature will help reduce severity of collision. For those awkward and dangerous moments of the Outlander being on a steep surface such as tight shopping mall ramps, this safety feature gives drivers extra support of control. By maintaining brake force, the car will be prevented from rolling backwards (which, of course, lessens the possibility of causing accidents). 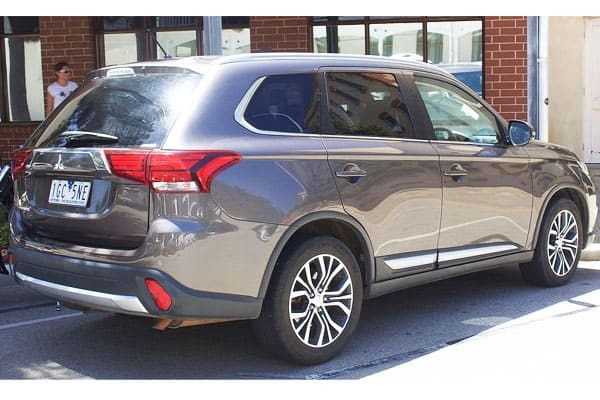 More than being an aesthetic add-on, the Mitsubishi Outlander’s beautiful set of wheels are a mix of form and function. Functional design, to say the least, for these wheels do prevent and improve road noise. As a result, each ride is a comfortable and memorable experience for those lucky enough to be in this SUV! The Outlander’s unique AWD gives motorists the control they deserve. By granting drivers access to control of each wheel, each trip is guaranteed to be both exciting and safe. The Electronic Control AWD comes in three unique modes: AWD AUTO (the standard or normal mode), AWD ECO (which focuses on fuel efficiency), and AWD LOCK (which offers controls perfect for high terrain or high ground covering capability). As such, the unique set of choices mean that there is an option that’ll fit every driving style out there! The Outlander’s engine provides enough power to both impress and perform. A 2.2 direct injection diesel engine powers the vehicle, offering the right amount of power output and balancing fuel efficiency at the same time. Now, what makes the Outlander such a delightful ride is that it is such an appealing vehicle to stare upon. And considering that it’s an SUV, one has but to wonder how great Mitsubishi designers are when creating both an engineering wonder and work of art! Outside, one can definitely see how much work has been placed in making this car an aesthetic delight. Beautiful and distinct rear combination LED lights will leave a mark among pedestrians, a feat considering that – once again – these are a mix of functional design. The exterior’s chrome finish, coupled with the aerodynamic sculpting, is eye-candy among car aficionados! Best of all, and in line with giving motorists and passengers the time of the lives, is the beautiful interior of this vehicle. With a roomy ambiance (7 massive seats) and the versatility to adapt to cargo loads, the Outlander is definitely a comfortable ride! Make sure to get the chance to take a Mitsubishi Outlander out for a spin!